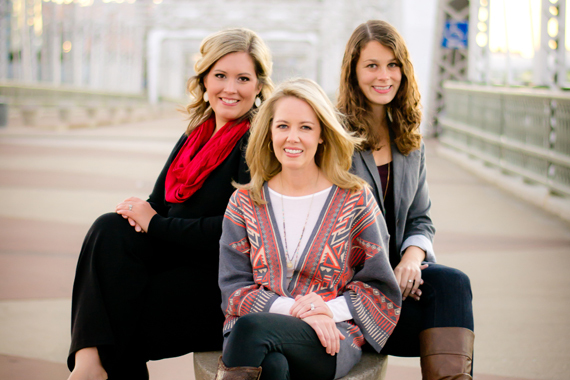 Pictured (L-R): Stephanie Mundy-Self, Kella Stephenson-Farris, Catherine Stein (Moore). Farris, Self & Moore, a boutique firm for songwriters, producers and national touring acts, is set to open at 40 Music Square East by principals Kella Stephenson-Farris, Stephanie Mundy-Self and Catherine Stein (Moore). The Kella Stephenson Company, founded by Stephenson-Farris in 2006 with clients having included Hillary Lindsey, Luke Laird, Dallas Davidson, Natalie Hemby, Rodney Clawson and Nicolle Galyon, will be folded into Farris, Self & Moore. Farris will continue to serve her current clients under the company’s expansion. The new business management and financial planning firm will specialize in business management and financial planning services, including accounting and HR. Farris received her bachelor’s degree from Auburn University. She holds a Certificate of Financial Planning (CFP®) designation and is a member of Leadership Music (class of 2014), NARAS, CMA, ACM, as well as a SOLID alumna. Her services have included bill pay, insurance planning, investment guidance, estate planning, tax planning, song earnings, asset acquisition, quarterly financials, projections, budgeting and royalty tracking. A Greenville, S.C.-native, Mundy-Self is a graduate of the University of Georgia. She is currently the Treasurer of the Nashville Film Festival, and is a member of CMA and ACM. She was also a 2012 Top 30 under 30. Mundy-Self most recently worked at Flood, Bumstead, McCready, and McCarthy. A specialist in risk management research and analysis, tour and merchandise settlement audits for domestic and foreign concerts, Mundy-Self is also versed in payroll and HR management for companies with 125 or more employees. Catherine Stein, whose forthcoming nuptials will make her Catherine Moore, began her career as an account executive with Flood, Bumstead, McCready and McCarthy working with an array of clients. She is a native of Chattanooga, TN and graduate from the University of South Carolina. Stein is a member of SOURCE, CMA, and ACM. She is a 2015 Top 30 Under 30 honoree. She is also an alumna of SOLID. The website for Farris, Self & Moore, LLC will launch in the coming days and will be available at fsmnash.com. Emails are available at: kella@fsmnash.com (Kella Stephenson-Farris), stephanie@fsmnash.com (Stephanie Mundy-Self), and catherine@fsmnash.com (Catherine Stein [Moore]), and the company’s phone number is 615-760-5107.